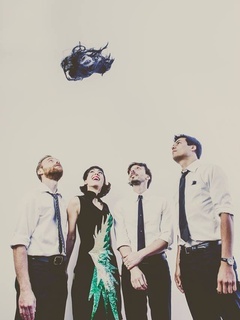 Austin-based indie/experimental pop band The Octopus Project is known for providing a euphoric experience defined by frenetic beats and catchy melodies. The band takes its trippy vibe from the stage to the screen with its latest trailer, a 3D video created to promote the release of Fever Forms, coming in July. If you're successful at "free-viewing," you'll unlock a glimpse of Octopus Project magic before the new LP drops on July 9.